Wednesday, February 10th at 7PM in the Special Collections Reading Room. 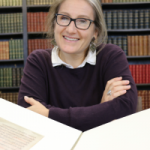 Heather Wacha will be talking about a single Medieval manuscript leaf from Special Collections, Msc 542 xMMs.Pr1 and her process identifying it. She will present her findings about this text in the 13th century manuscript edition, 16th century early printed editions, as well as early 20th century history when Otto Ege broke the manuscript apart, and the early 21st century when digital technologies allow us to start to put it back together again. Join us for refreshments at 6:30PM. Jonas Hunt was first corporal and first sergeant of the Iowa 18th Volunteer Regiment, Company B. His grandson, Leland Hunt, has gifted this collection to the University of Iowa. 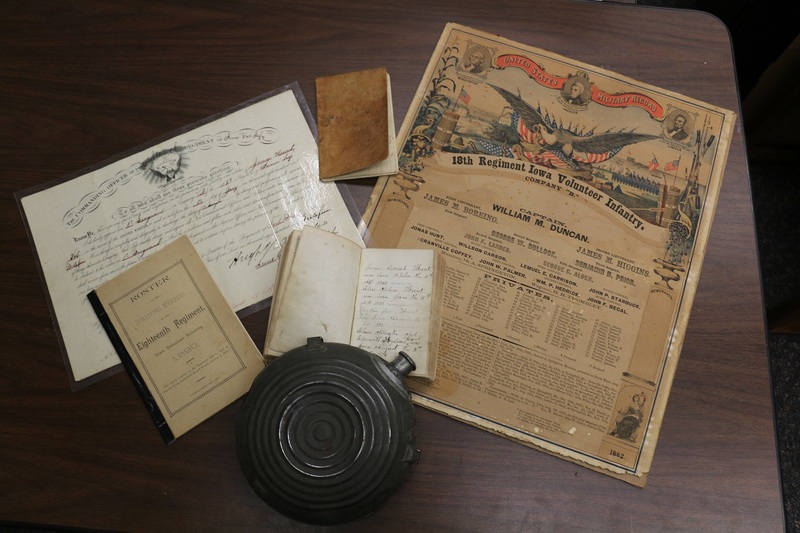 The collection consists of a canteen, a certificate, a roster, a family bible, a military record, and a company sick book. This last item, the sick book, is fairly unique to this collection. 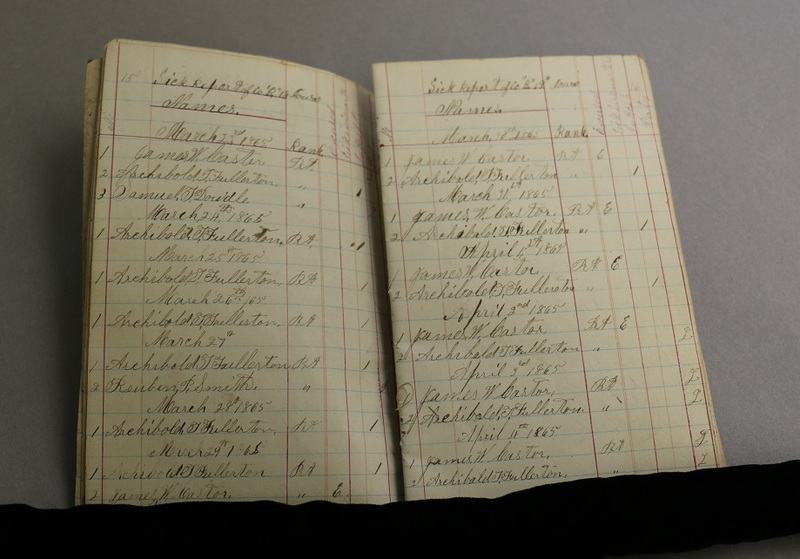 It is a record of every illness in the company and where the person was serving during his sickness. 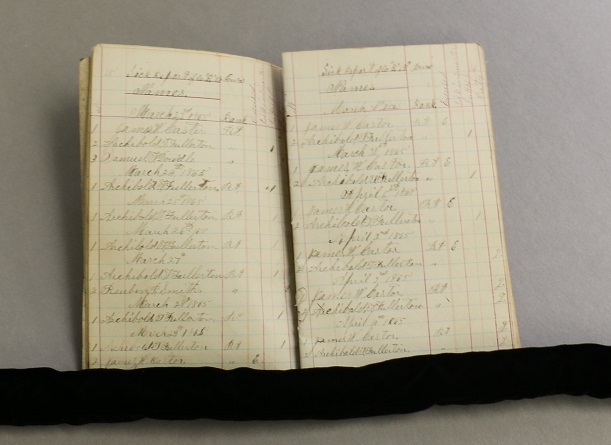 It is divided into columns as follows: Name, rank, sick in quarters, in hospital, and duty. The Glenwood Resource Center in Glenwood, Iowa, was previously named the Iowa Institution for Feeble-Minded Children. 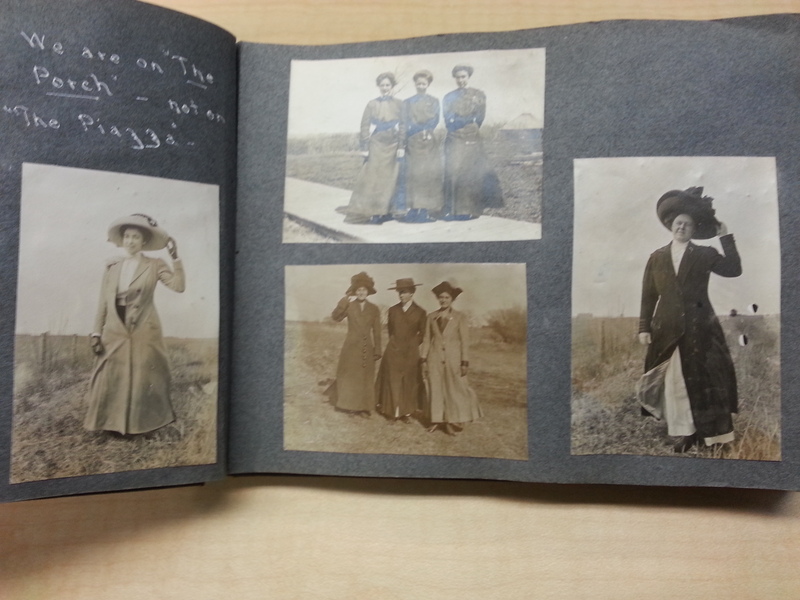 This album from around 1910 documents that earlier time period. In some of the first photos, several women show off their Winter attire on a January day declared to be 24 below. Brr! 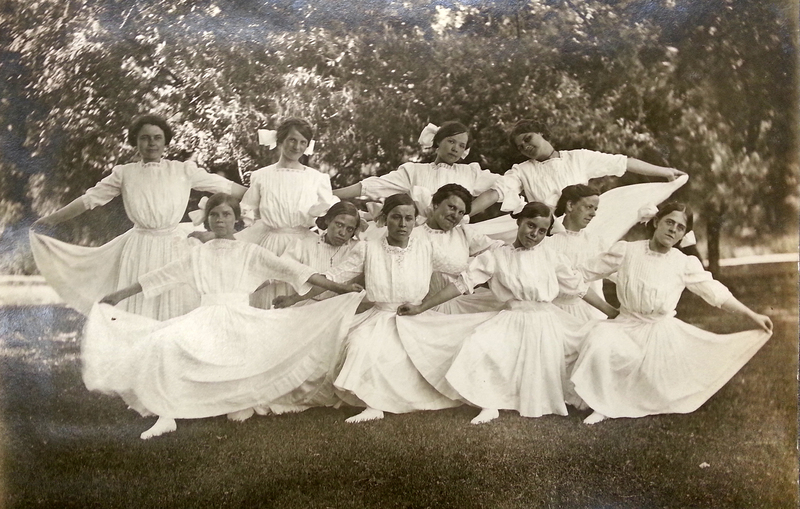 While the creator of the album focused on the teachers at the Institution, the students make many appearances as well. 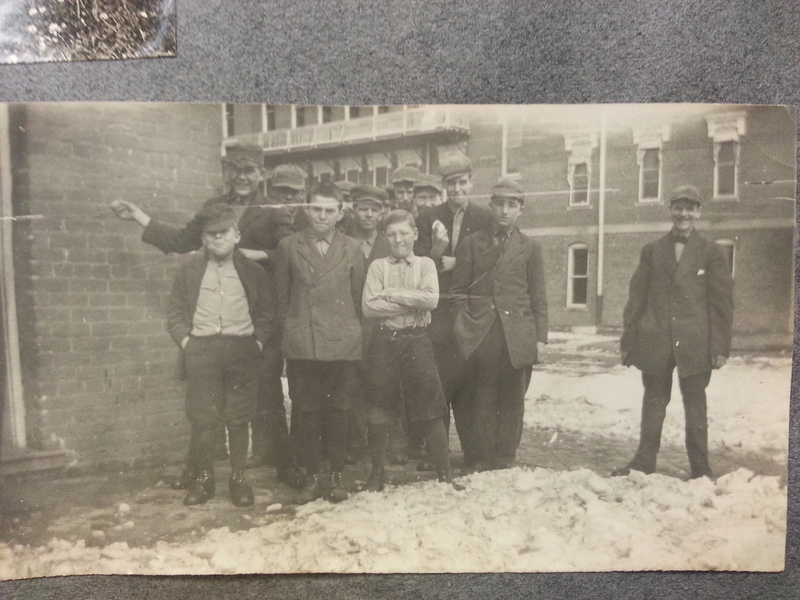 University archivist David McCartney gave a presentation about the Historical Iowa Civil Rights Network at St. Ambrose University in Davenport on Thursday, 1/18/2016. 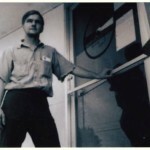 HICRN is a project of archivists, librarians, historians, and former civil rights workers from across the state to document the civil rights movement, both at home and elsewhere. David co-founded HICRN in 2012 and, to date, 12 institutions have participated.